What About Inside the Kitchen Cabinets? Cabinet refacing is one of the most popular kitchen remodeling options because, in addition to gaining high-quality updated cabinetry, you pay a fraction of the price. For this process, you choose the door style and finish, and we do a thorough job of reinforcing the cabinetry's structural components and apply the new surface. The end result is stylish cabinets that look brand, spankin' new. 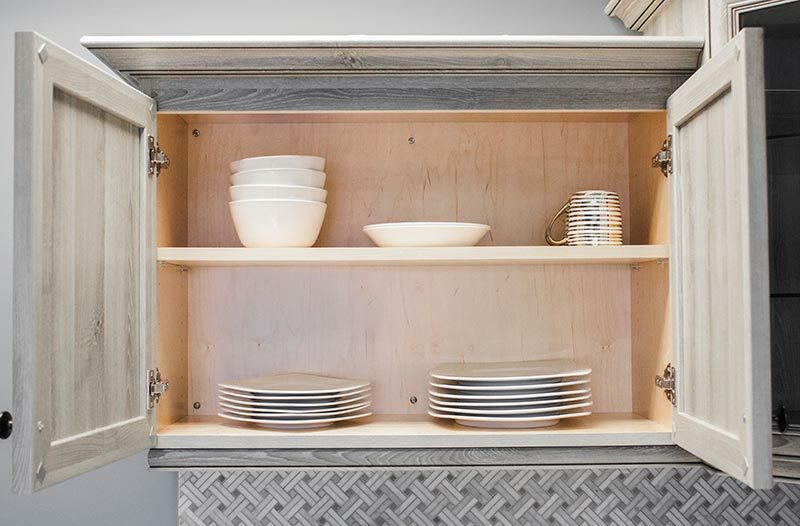 But—what about the inside of the cabinets? What happens there?